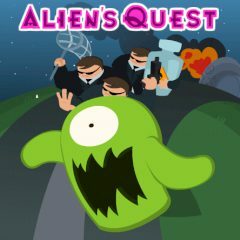 A cute alien was captured by malevolent police. Help him escape from the jail and return home. Look for different items on your way that can come handy. Enjoy the variety of means of transport that will bring you to the shuttle and do not forget to thank your faithful friend for help.